The Cane Corso Italiano is the best breed in the world. Intrepid, tenacious, proud and balanced. 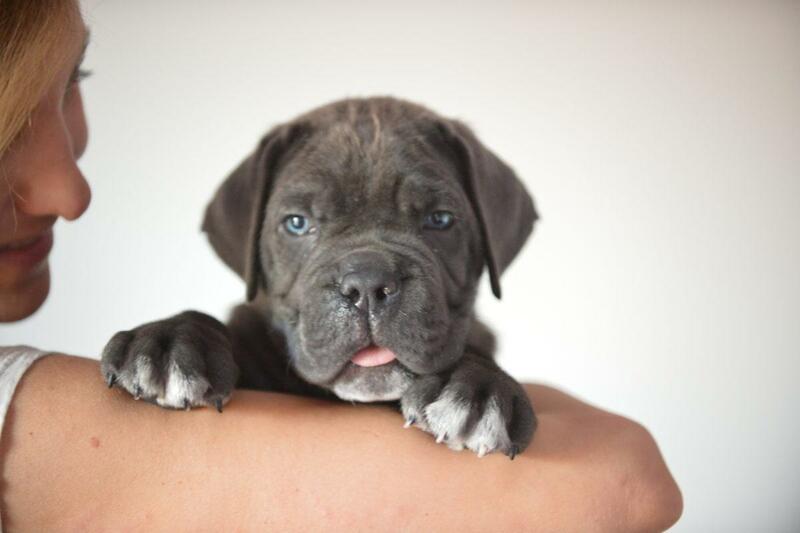 The Italian cane also called Italian mastiff, has a vigorous temperament, ready to meet any challenge. With its owners and the children of the house it is docile, affectionate, faithful and protective. He is alert to any strange situation, being quite suspicious of strangers. He is very intelligent and sure of himself. If training is appropriate, learn easily. The Cane Corso requires socialization and education from an early age. Our way of raising the canecorso is a responsible and familiar breeding, We do not have cages, our canecorsos live in groups, eat together and enjoy sport and a healthy and happy life. We fed our Italian canecorso in Spain following a natural Barf diet, based on meat, vegetables and fish. We work the fitness and health of our dogs in our pool designed specifically for them. We have been selecting the character and phenotype of the Cane Corso for 10 years, making crosses with exceptional characters and performing the character tests before crossing. Only the best specimens of beauty, character and health are part of our breeding program. Comprar Cane Corso machos en España. Criamos canecorsos de raza en las mejores condiciones, machos, hembras, cachorros a la venta para comprar online.